To be used whenever there is an urge to smoke. It can be used the same way as a cigarette; the dose of nicotine from each puff is less than that of a cigarette. It can be used the same way as a cigarette; the dose of nicotine from each puff is less than that of a cigarette. The inhaler will need to be used for longer periods and with more puffs than a cigarette. 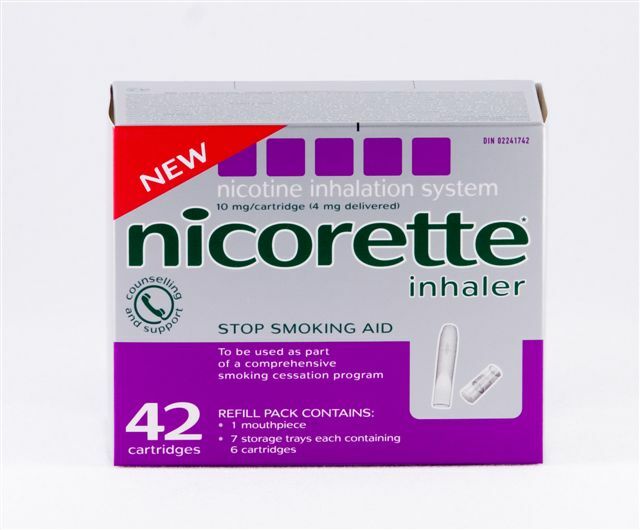 Consult your doctor or pharmacist if you have any questions concerning NICORETTE.